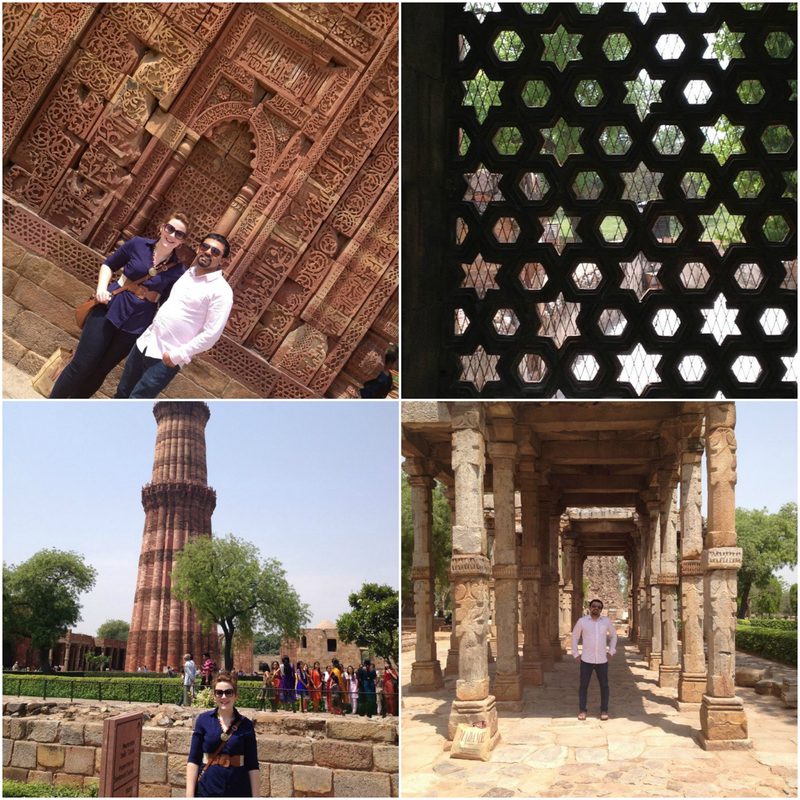 My Facebook notifications recently reminded us that it's been four years since my first trip to India (who says Facebook is useless)! Wow! I don't even know where the time has gone?! 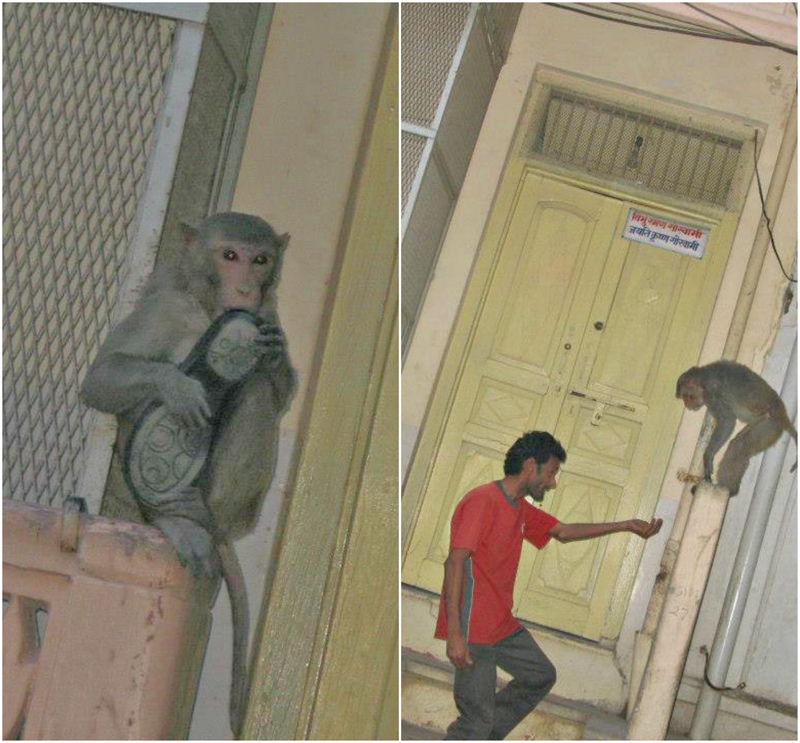 So I thought to share the adventures (beware of the monkeys!)! 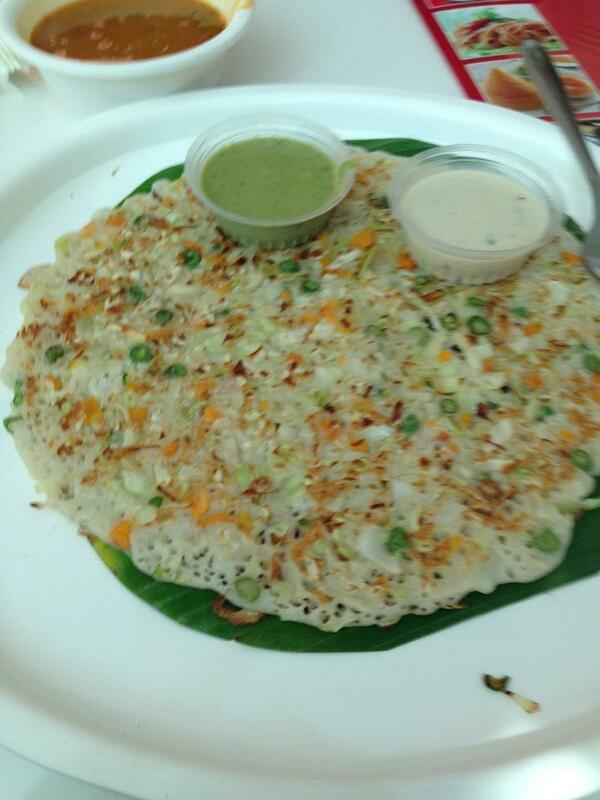 Hubby hails from South Delhi which meant a flight from Calgary to Seattle to Dubai and finally to New Delhi. 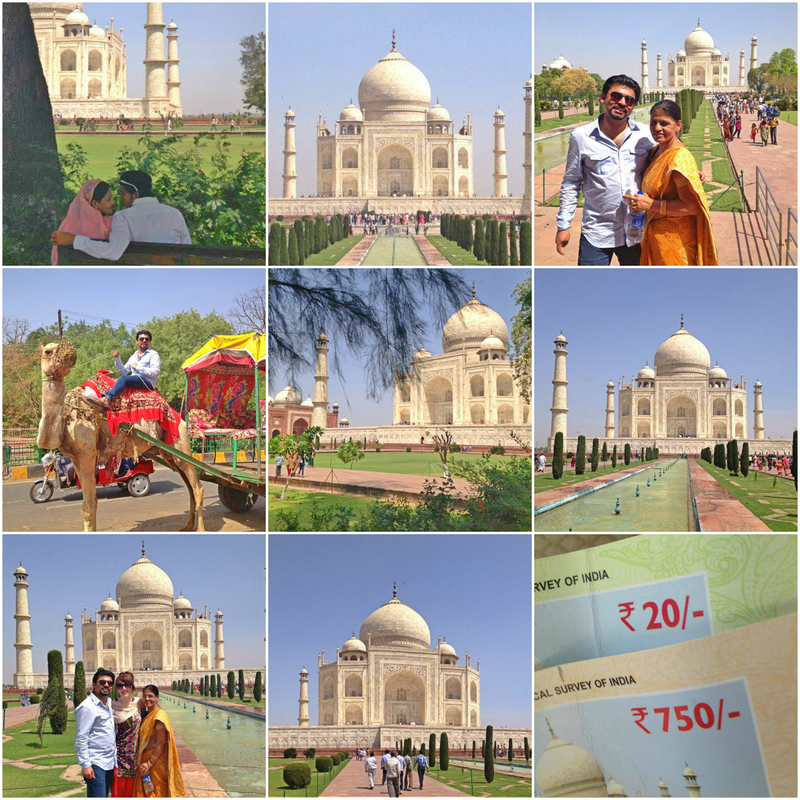 We were still boyfriend and girlfriend at the time but he did propose at the Taj Mahal halfway through our trip! After our Engagement we threw a small party where I met most of the family. For the obligatory trip to Agra we hired a car and took the expressway reaching in less then 3 hours. 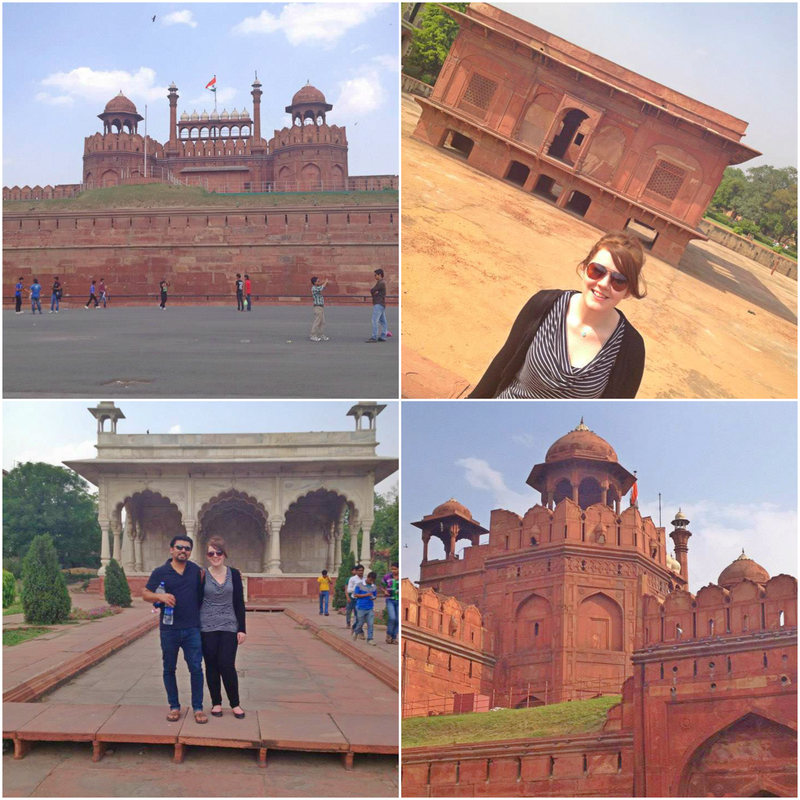 We toured the Taj Mahal and stopped for pictures at the Fort. I, of course paid an exorbitantly higher price for the entrance ticket. 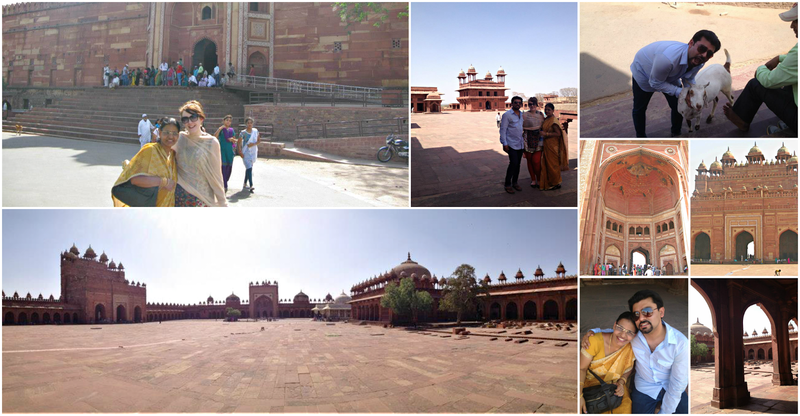 Hubby also wanted to go to Fatehpur Sikri, a city that served as the Mughal Empire Capital for around 10 years in the 16th century. Later in the afternoon we journey to Mathura (Krishna's birthplace) and Vrindavan (the childhood home of Krishna). Perhaps one of the strangest moments came when a woman handed me her baby without a word, took our picture, and left. Has this happened to anyone else? 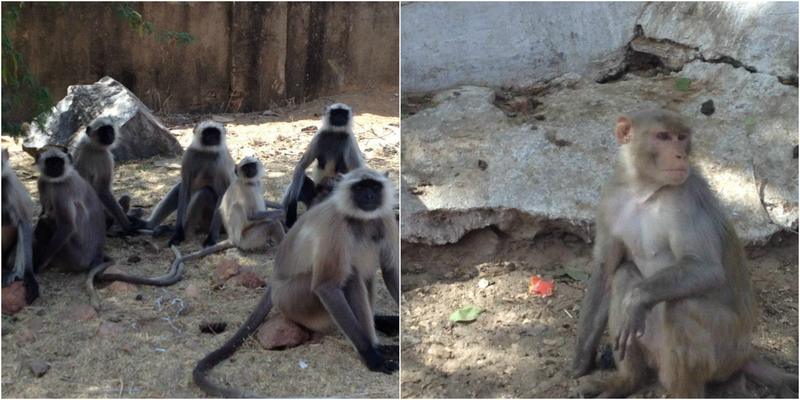 Monkey story #1 - I was warned to hold onto our shoes when leaving a temple surrounded by naughty monkeys. Well within seconds I felt something tugging at my hand and before I knew what was happening the bugger had run off with MILs shoe! We tried everything to coax him to give it back as he happily chewed on the leather sandal. Good thing we still had booties from the Taj until we could purchase a new pair. It was a long day but worth it! 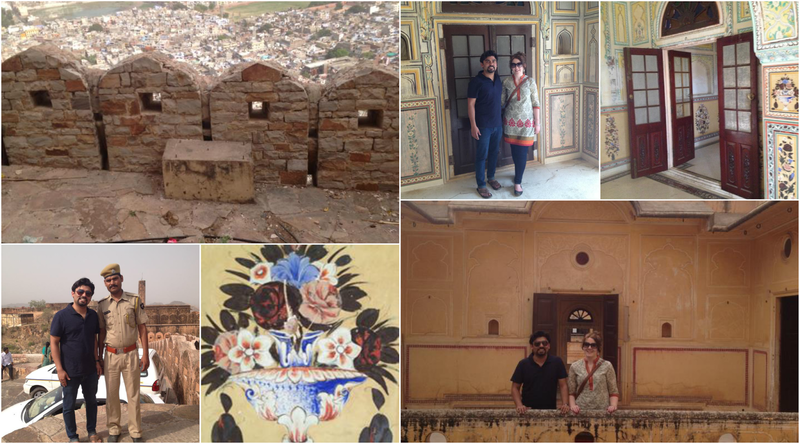 Jaipur was also on the itinerary with visits to Amer Fort, Nahargarh Fort, Hawa Mahal, Jaigarh Fort, City Palace, and Chokhi Dhani. We stayed at the Marriot which had great service and awesome rooms. I would go back just for the bathtub, bahahaha. 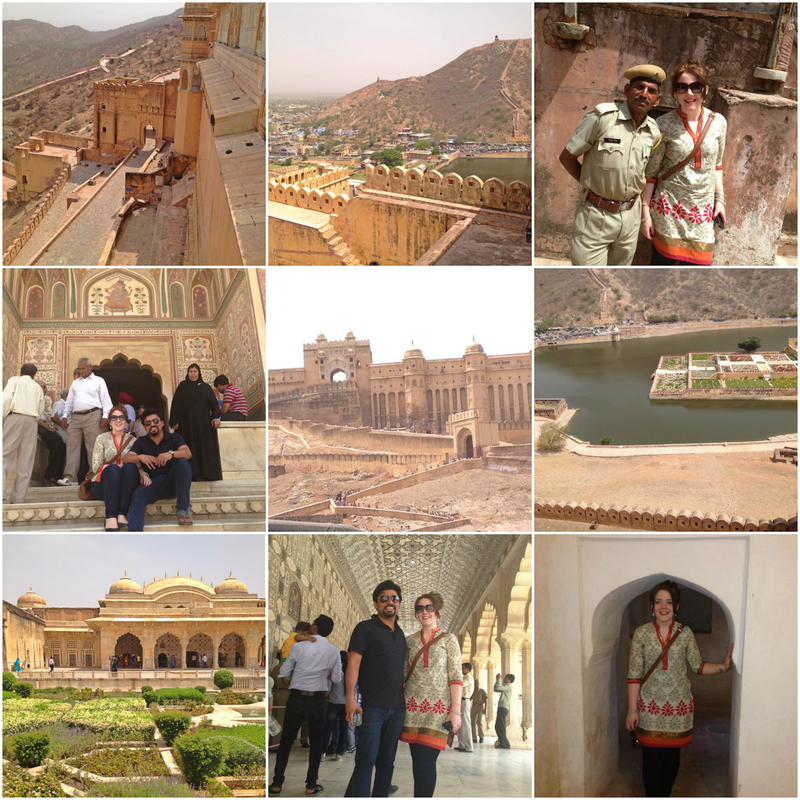 Along with Jaipur we went to Pushkar and Ajmer. 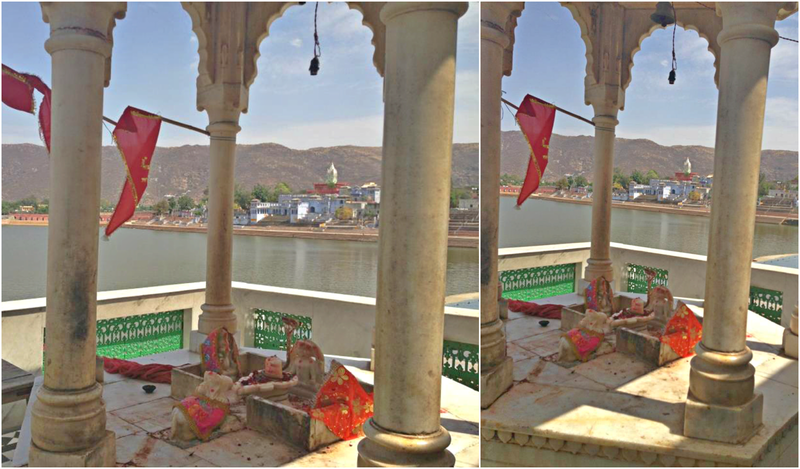 Pushkar is one of the holiest sites for Hindus, as the story goes Shiva cried so hard at the death of this beloved wife he created two lakes, Pushkar and Ketaksha. Unfortunately the famous Brahma Temple was closed that day but we did end up doing a puja along the banks of the lake. Beware though, Panditji claimed the puja would not cost anything only afterwards demanding money! Next up Ajmer! Ajmer is home to Dargah Sharif, which houses the Tomb of Garib Nawaz, a Sufi Saint. 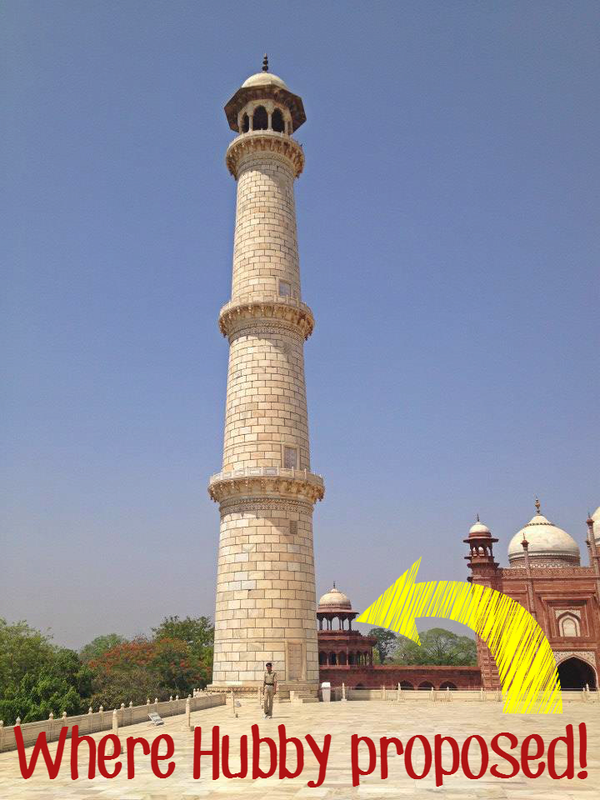 We were told by tying a holy string to the monument our wish would come true. Monkey story #2 - On the way from Pushkar to Ajmer someone had the genius idea of stopping and feeding these monkeys (see below!) grapes. Within 13 seconds of the car window being down a monkey was literally trying to climb into the car screeching to give it more grapes. Well in a panic I closed the window on the the little guys hand. Fortunately he got away unharmed. 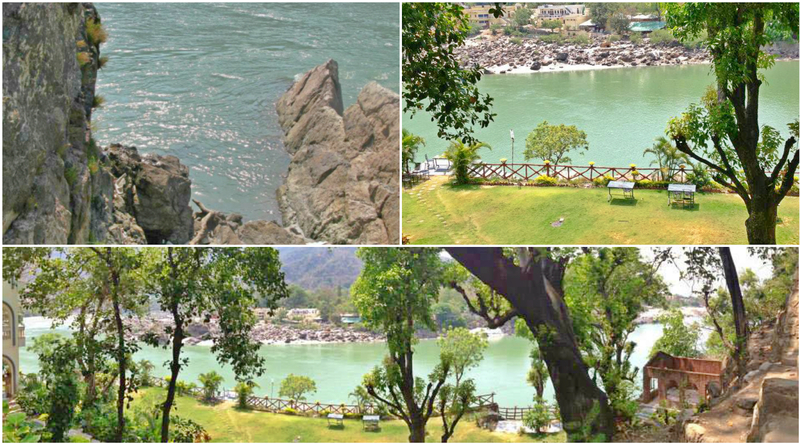 Perhaps one of the best highlights from the trip was our tour to Rishikesh and Haridwar with friends. 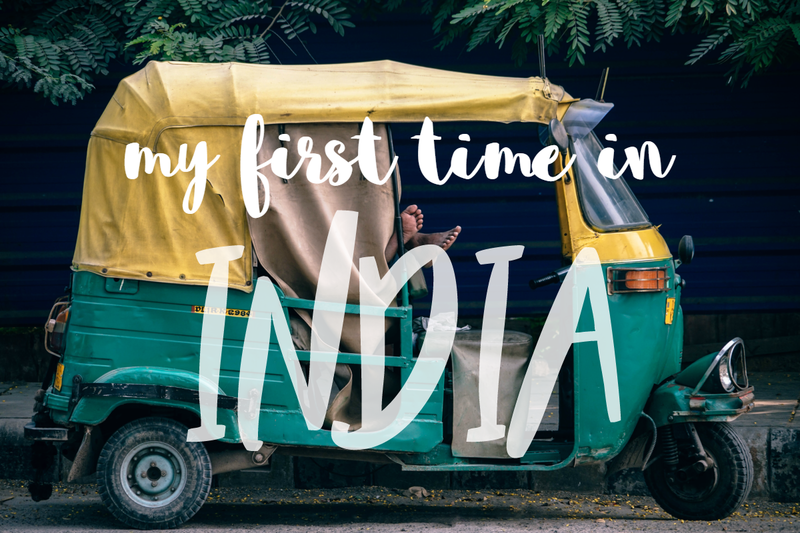 We spent two days and one night in the Himalayan foothills. Upon arriving in Haridwar, one of the seven Holy sights, we were able to participate in the Arti performed on the banks of the Ganges River. After checking into the hotel we went for an evening walk in Moti Bazaar. The next day was adventured packed! 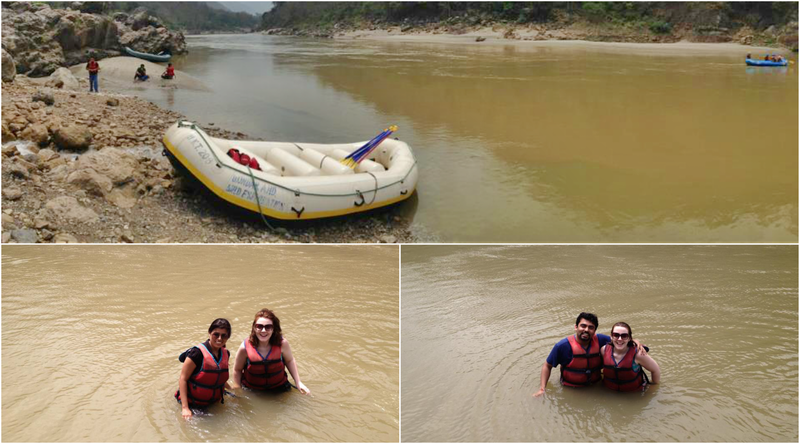 Rafting on the Ganges with the only safety instructions being shout Jai Ho! Hmmm, if it wasn't for our previous rafting experiences I probably would have been jumping off the boat! 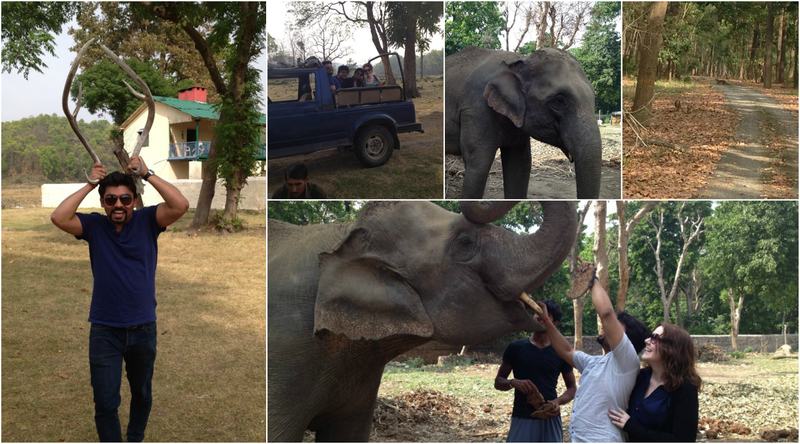 The four of us stopped at Rajaji Tiger Reserve on the way back to Delhi. We didn't see any tigers but we did spot elephants and a leopard! My MIL also took us to her hometown which again involved another monkey story but I'll keep that one to myself :P On my subsequent trips there has been no encounters with monkeys! Haha. Due to the fact I had already spent a great deal of time with my MIL in Canada I didn't really suffer any culture shock. The only thing I wasn't prepared for was the dogs. There are so so many dogs! And I still scream at the sight of cockroaches or lizards. And guess who got Delhi Belly on our last day and wanted to die the whole flight back to Canada?!? ME!